Mattress Warranty And Comfort Guarantees? Be sure to Understand the Mattress Warranty And Comfort Guarantee completely. I often hear complaints from consumers about how a store won’t honor their promises. Things like “my mattress is sagging, and the retailer and manufacturer won’t do anything”. The fact is, as a consumer you really have to take the time to read and understand these policies up front before you make your purchase. 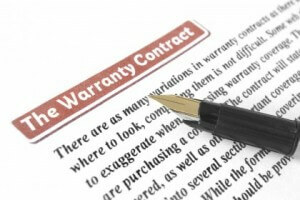 The key thing to keep in mind is that in most cases there are fees involved with either warranty. These policies will vary a little from store to store, but for the most part there are a lot of similarities. First, let’s talk about the structural mattress warranty. This warranty is issued by the mattress manufacturer to protect you against structural or workmanship defects. The first thing to know is most stores will charge you an “inspection fee” to look at the mattress to determine if your complaint is covered under the warranty. The manufacturer does not pay the retailer to do this so the retailer either pays the cost or you do. Most stores state in their policy if there is a fee and how much. Second, this warranty has nothing to do with your comfort. If yours sags a 1/2 inch and you are uncomfortable, most stores will do nothing. If you say you feel something poking you, and you are uncomfortable, but there is not a visible wire poking through the cover, again, most stores will do nothing. Let’s say they do find a mattress warranty defect. Most stores will charge you a pickup and delivery fee to transport the defective mattress and bring you the new one. The manufacturers don’t cover transportation cost in the mattress warranty so either the store pays it, or you do. Again, amounts vary from retailer to retailer, but expect to pay around $100.00 if you do have a mattress replaced under warranty if you are close to the store, and more the further you are from the store. An average inspection fee is $25.00, and delivery/pickup $75.00. Usually, you can do the hauling yourself and not have to pay the delivery/pickup fee. As for the “Comfort Guarantee”, these again vary from store to store. Usually, they range from 60 days to 1 year. A comfort guarantee is usually not a no cost way to get a mattress changed; it is a low-cost way to get a mattress changed. Most of the time the store and you are sharing in the cost of the exchange. Without this guarantee you would be stuck with a mattress you don’t like, or buying another mattress. What a comfort guarantee really is is an agreement between the retailer and the consumer to each pay some of the cost of a mattress exchange which can be a very expensive process. This way, in theory, the retailer gets a satisfied customer, and the consumer gets a mattress they are happy with. The problem is, sales people often “oversell” what the guarantee does, and the consumer makes assumptions about how it works without reading it. This can cause all kinds of problems between consumers and retailers. As with the structural mattress warranty, there can be several fee’s associated with this policy. First, most stores will charge for transportation. Again on average around $75.oo. Some stores also charge a mattress warranty processing fee. I have seen fees as high as $149.00. Most stores will not do a refund or exchange until after 30 days. The reason is most consumers are not comfortable the first few weeks on a new mattress. Most experts say if you didn’t try it for 30 nights you didn’t give it a fair test. Most stores will try to talk you into a more expensive bed and charge you the difference from your original model. If you do choose a lower price model you usually don’t get a refund and you still pay the fees. If you Google “mattress warranty and comfort guarantee complaints”, you will see a long list of complaints. However, all of the things people are complaining about are stated in the stores policies. Before you buy a mattress ask for the warranty and comfort warranty policies in writing. Read it through and make sure you understand it, so you are not surprised like all the people complaining online. Don’t ever take a sales persons word for it. There are sales people that will say what ever they think you want to hear to get the sale. Most don’t really know what the store policy is themselves.